Thank you to all those who have helped us in Making #TheCultureFactor2018 so special. Join us in Milan, October 5th for the 2018 #theculturefactor conference. The doors will open at 8:30 a welcome cafe will be served. This year, we have brought together an exceptional lineup of experts from industry, academia, and (supra)governmental institutions who will share their wisdom on the importance of culture for brands. Through interactive sessions, keynote speeches, enlightening talks and case studies, our experts will discuss the effect of culture on Trust, Reputation, Consistency, CSR, Organisational Culture, Design and more aspects of what it takes to be a successful truly global brand. Our expert speakers come from industry, academia, (supra)governmental institution and much more in order to give you a complete overview and offer different perspectives on how brands can harness the power of culture. 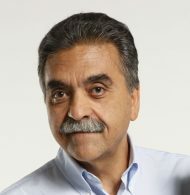 After gaining a degree in Sociology at La Sapienza University in Rome in 1981, Angelo has been a researcher for the main Italian Marketing and Social Research Institutes from 1981 to 1985. 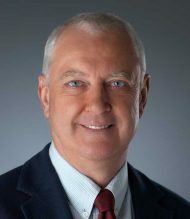 He joined IBM Italy in 1985, working for the HR department until 1989 when he moved to the IBM Italy Foundation, where he managed researches and projects mainly in the fields of work and organizations, education as well as arts and culture. Angelo’s current position is IBM Italy Corporate Citizenship Manager and Director of the IBM Italy Foundation. As Director of the IBM Italy Foundation, he is responsible for all the activities carried out by this independent non-profit organization, including the complete management of legal, financial, and administrative aspects. From April 2009 to April 2013 Angelo also managed the Brand System organization for IBM Italy, with the responsibility of advertising, IBM Italy Client Center in Milan and sponsorships. Angelo taught as contract professor at universities in Siena, Padova, Milan Bicocca and Sapienza in Rome on work organisation, collaborative technologies, and on corporate social responsibility. In 2012 Angelo was awarded the “Maestro del Lavoro” award of the Ministry of Labour of the Italian Republic. A multiple award-winning international marketing professional with rich experience, and top-box performance, across the end-to-end spectrum of marketing communications – from leading global/regional Strategies to running large-scale Market Operations. After 30 years with the French company Papeteries de Clairefontaine, Jean-Pierre is recognised for his expertise in International Sales Negotiations. His training and coaching help people to improve their financial success by being more successful in their business negotiations. 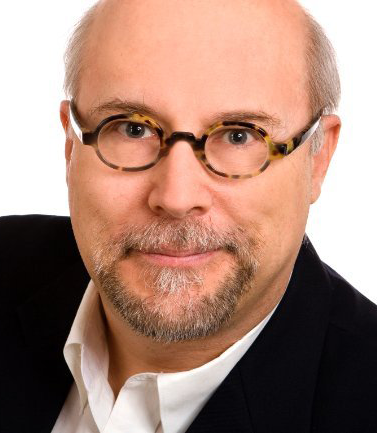 Jean-Pierre offers his clients pragmatic, workable tools to solve cultural problems in real business situations. But even more than simply solving problems, Jean-Pierre brings know-how in finding new ways of gaining market share, gaining confidence, and acquiring new business. Jean Pierre is the author of: Négociation internationale, l’entretien de vente en B to B and Negotiate Like a Local: 7 Mindsets to increase your success rate in international business, both available on Amazon. 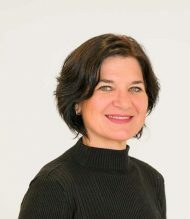 Elizabeth Tuleja is Professor of Intercultural Communication and Global Leadership for MBA and Executive MBA programs at the University of Notre Dame, USA, where she also teaches and leads yearly cross-cultural immersion programs in Shanghai and Chengdu. Her mission is to enable global effectiveness through first understanding oneself in order to understand others. 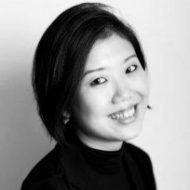 She has lived in Mexico, Peru, Hong Kong, and China, and has published two books: Intercultural Communication for Business (2015, 2e) and Intercultural Communication for Global Business: How leaders communicate for success (Routledge, 2017). In addition, she has developed two online courses for the University of Notre Dame, and her most current project is working with a major South African University that will offer an online course on global leadership that will reach over 40,000 students. Prior to Notre Dame, Elizabeth was on the faculty at the Wharton School as well as the Chinese University of Hong Kong. 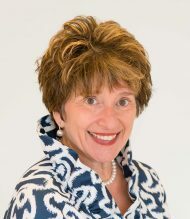 Besides teaching, she has consulted with a variety of clients such as Boeing, U.S. Marines, U.S. Army, Merrill Lynch, Morgan Stanley, Bank of America, AXA, Marriott International, Verizon, China Development Bank, and HSBC. She holds a Master’s degree in Intercultural Communication and a Doctorate in Education from the University of Pennsylvania, graduating with high distinction. Elizabeth is currently in China on a Fulbright U.S. Scholar Award, (one of the most prestigious grants that an educator can receive) teaching intercultural communication and global leadership. Marty specializes in transforming global brands to meet cultural challenges, and empowering the teams that build them. He’s led cross-cultural teams to breakthroughs that turbocharged global marketing communications, innovation, and brand strength. He uses Hofstede tools to analyse how marketing teams may be out-of-synch with their customer base, and how to align corporate and consumer culture more closely. Before becoming an Associate Partner of Hofstede Insights in 2018, Marty spent eleven years as International Planning Director of BBDO Worldwide, based in Munich. He was charged with the strategic management of the global network of Daimler agencies, building brands such as Mercedes-Benz as it reached global leadership in luxury cars. Prior to his Munich posting, he worked as Senior Partner at JWT New York, as Global Planning Director on Pfizer Consumer Health/Johnson and Johnson brands. He has won a string of awards for both creative work and strategic insight. Paulo received his Ph.D. in Political Science from ULHT (University of Lisbon) and his MSc in Sociology from ISCTE–IUL (University of Lisbon). 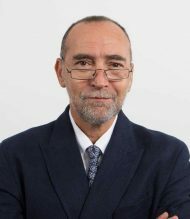 Paulo Finuras is an associate partner of Hofstede Insights, he spends a bigger part of his working time in Angola, Mozambique, and Cape Verde Islands. He has worked as the International Business Director of Cegoc Portugal where he undertook all kinds of work related to the field of International HRM and training in the field of Intercultural Management. As Head of International HRM Consulting Projects of CEGOC-TEA, and previously as Managing Director and HR Director in a Consulting Firm and a Transport Company he has carried out projects and technical assistance on general and strategic management and HRM consulting projects in several companies in Portugal, Brazil, Angola, Mozambique, and Cape Verde Islands. 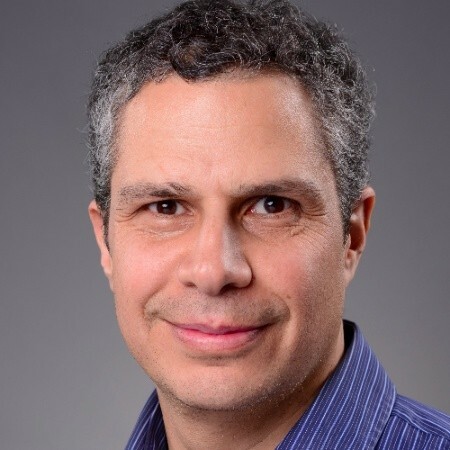 As a senior international HRM trainer, Paulo’s most important working areas are intercultural management and intercultural awareness training programs, and preparing international and effective teams and expatriates. He also conducts research in the field of cultural values and trust in institutions using the Hofstede Model and is an invited lecturer in several Portuguese universities. 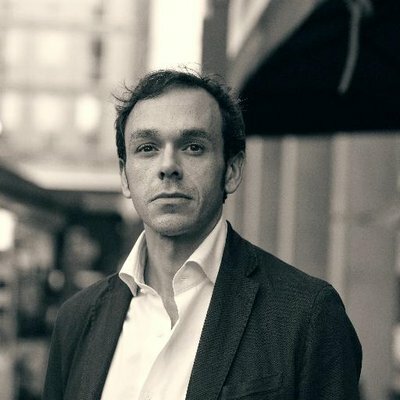 Diego Gilardoni, an associate partner of Hofstede Insights, is a former journalist turned international consultant with experience in Europe, US and China. He advises international companies faced with the communication and cultural challenges associated with operating in an increasingly complex global business environment. 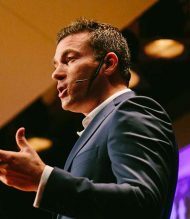 He is also an accomplished international keynote speaker specialised in global business communication and has given a TEDx Talk on the impact of cultural differences on global business strategies. Most recently he gave a speech on the relationship between country reputation and corporate reputation at the 2018 World Communication Forum in Geneva and he was a keynote speaker on international strategic communication, reputation and corporate diplomacy at the 5th High Forum on Intercultural Business Communication organised by the University of International Business and Economics in Beijing, China’s top business school. An expert on China, he is the author of the book Decoding China. Cross-cultural strategies for successful business with the Chinese (Itim International, 2017). A graduate in history from the University of Fribourg, he holds a Postgraduate Diploma in Global Business with a focus on corporate diplomacy from the University of Oxford’s Saïd Business School and an Executive Certificate in Advocacy in International Affairs from the Graduate Institute of International and Development Studies in Geneva. Born in London to German parents and a long-time resident in Luxembourg, she holds three passports and has been introduced to different cultures from very early on, living in several countries in Europe and working globally in various industries. Living and working in a multicultural environment, juggling six and a half languages and many cultures has become a second nature. She has led intercultural teams on the business and on the HR side. She is passionate about culture, national and organisational and supports individuals and organizations in transition phases, cultural change and leadership. She is driven by her desire to make an impact and dedicates part of her time to social projects and collaborates with connect2us. Having been a foreigner for most of her life, she feels comfortable in the multicultural environment Luxembourg offers and handles the challenges and opportunities with a natural ease. 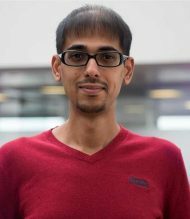 CEO at MBA-Exchange.com, Careernomics.com, Bilal is a serial-entrepreneur, who is passionate about education, technology and changing mindsets! With a bachelor in computer science and an MBA from INSEAD, he was a banker and a McKinsey consultant before starting his two web companies, where 40’000 top business students research and identify career opportunities, across the world. Bilal is also the founder of a Swiss elementary Montessori school. Having lived and worked on three continents, and with clients spanning 18 time zones, Bilal is increasingly aware of the pervasiveness of culture and is hence a fan of the Hofstede 6-D model. 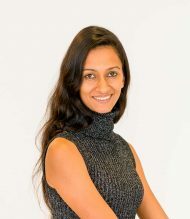 Based in Bangalore, India, Divya Susan Varkey has double Master’s degrees in Intercultural Communications (Universita della Svizzera italiana, Switzerland) and Communications (School of Communications, Manipal, India). With more than ten years of work experience in communications and public relations, working in public relations, events management, and travel and tourism companies, and having travelled in 14 countries, she uses her experiences and learning to conduct effective workshops for participants from all over the globe. In the years following her entry into intercultural communications training, she has trained executives and students from 30 different countries including Germany, Austria, Switzerland, the Netherlands, Italy, Greece, Colombia, the United States, the United Kingdom, Morocco, Tanzania, China, and India. Her work so far has also included training CXO’s and high-level managers from some of the biggest known global brands on expatriate assignments in India and multicultural delegations from Swissnex, through the Consulate General of Switzerland. Her academic paper, Paralinguistic Code-Switching Behaviour in Polyglots, was chosen to be presented at SIETAR India in 2018. Divya has worked as a freelance master of ceremonies, hosting audiences of over 1000 people and conducted team-building workshops for small and larger teams in various corporates. 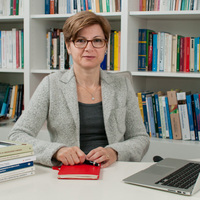 She has also conducted lectures and talks about gender-related issues in universities in Switzerland and India – Muslim Women and their Perception in the West at the HTW University of Applied Sciences, Chur, Switzerland, MisogIndia – India of Draupadi or India of Jyothi at the Sankara Academy of Vision, Bangalore, and Pink or Blue – Changing India’s Awkward Relationship with Gender at the Indian Institute of Finance and Management, Bangalore. President of The Geert Hofstede Consortium, Associate Professor of Corporate Communication, IULM University. Director of International Affairs, IULM University. This event is proudly designed to limit its impact on the environment.